In fact, Mr Smith believes that renaming the Peebles Hospital in honour of outgoing Premier and Minister of Finance, Dr the Honourable D. Orlando Smith (AL), would in fact be a travesty—at least until he is able to recover the $7.2M, that was lost to BVI Airways. The Independent Candidate was at the time a guest of Mr Claude O. Skelton-Cline’s Honestly Speaking, aired live on Wednesday January 16, 2019, when he voiced his objection to the renaming of the hospital, in patronage of Premier Smith. “We need to get that back and then we could see what happens, we need to get back that money,” Mr Smith insisted. 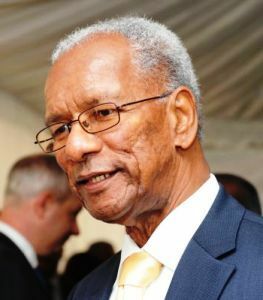 He said, too while Dr Smith is among the finest Premier’s the Virgin Islands (VI) has had, the hospital had already been named in recognition of a prominent Virgin Islander. According to Mr Smith, perhaps a ward in the Hospital could have been renamed after the outgoing Premier but in any cases these are matters for public discussion first. “I think we don’t have enough public discussion…the general public should have a say,” Smith said and reminded that the various facilities, such as the Peebles Hospital, do not actually belong to the NDP but rather the people of the VI, collectively. “We need to have public discussion and debate going forward,” he said. Host, Mr Skelton-Cline, while not opposing the renaming of the hospital in the manner proposed, objected to its timing, calling it a political gesture. According to the Honestly Speaking Host, he would have preferred to see some time elapse before making any such move and he would have been a proponent. Rajah, If we elect you to office would you be able to have it returned? What would be your strategy in achieving this? As you raised the subject we need answers from you. This is outride rude. Rajah did not squander $7.2 mil. The Premier did so let him squeeze it out from somewhere. Why the premier don’t handover some his assets like them land and house to the crown as payment of the 7.2m? Then he can name the hospital after himself. I don’t think your question is relevant as Mr. Smith wasn’t the one to misuse the money so why should he be the one to have it returned?? Also, what I understand he is saying is before we rename the hospital in honor of Dr. O. Smith we should at least have a closure for BVI Airways. I love the name "Peebles Hospital " I use to think people were saying "People's Hospital " Until I saw the spelling and know the history . "Peebles or People's " are all appropriate . Claude - that is the first time I ever listen to you and you actually make sense. Too political right now to rush that through. In time he will be honoured. He has already been honoured. Didn't he receive a medal (OBE or MBE or something) from the Queen for his services in the field of medicine?